We just finished producing 2 large scale events for the NHL (One in Ottawa, and one in Tampa) and a whole bunch of local Xmas events in the month of December. It was crazy, fun, hard work, and a great end and beginning of the year. I am happy to say that everyone at Eventure is going to be jumping on the blog bandwagon soon. I think it would be cool that people see different perspectives of our lives here at Eventure, and other peoples’ opinions on the industry, and on what we do here. So I don’t think I can summarize 25 years, but it did inspire me to think about how is it that we do this? As you know, I am a technical, logistics kind of event planner. Not a design, floral, color coordinated kind of event planner. It is the one thing though that I enjoy the most of what I do. Taking the blank page, and creating an event. So the first thing is to discuss what the event needs, client wishes, budget, and venue is for the event. In this case, I’ll reference the 1st NHL event we did in Ottawa for the NHL 100 party at TD Place arena. 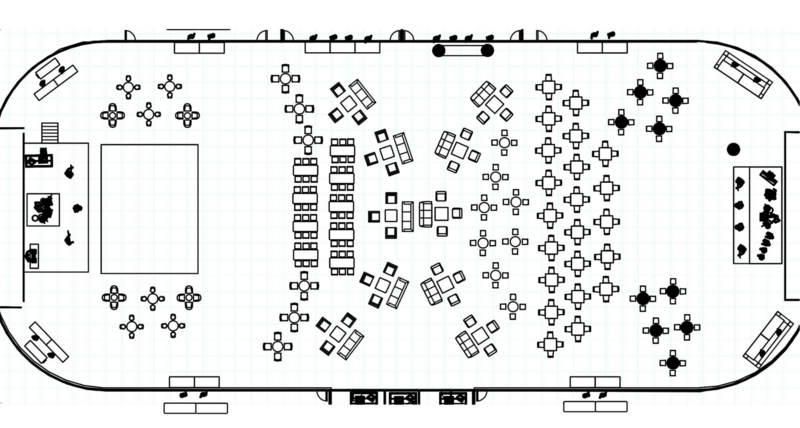 In meeting with the client at the venue, we came up with the idea of splitting the space in half. One side being the 1917 side, the other being the 2017 side, an hommage to the 100 years. That then meant we were doing a 1920s prohibition theme versus a modern club-like theme. Once we discussed with the client the idea, we know the venue and the budget. We also discussed certain needs the client wanted to achieve such as F&B requirements, messaging and branding needs, and certain previous event highlights and missteps to avoid. We then came back and brainstormed different ideas to fit the requirements and created a mood board. The mood board highlighted certain thematic ideas, wow factors, furniture, decor, food concepts, etc. Once we review the mood board with the client, and get feedback on more detailed elements, menu ideas, theme ideas, etc. I can now start figuring out specifics, layout and detailed budgeting. This event happened to be heavily focused on lighting. Not all events that we do focus on lighting, but this was an arena (so lighting is important to transform an arena to a party) I knew I wanted to stay true to the theme throughout, so the lighting I also split into new and old. On the 1917 side I stuck with strictly conventional lighting, and on the 2017 side strictly moving lights and LED. 1. The split down center ice of new style furniture and old style. 3. Entertainment on each stage (1920s postmodern style and 2017 Magic! with a DJ) Which then meant the 1st half of the party would happen on the 1917 side while 2017 was dark, and then moving it to the modern side and the 1917 side going dark. 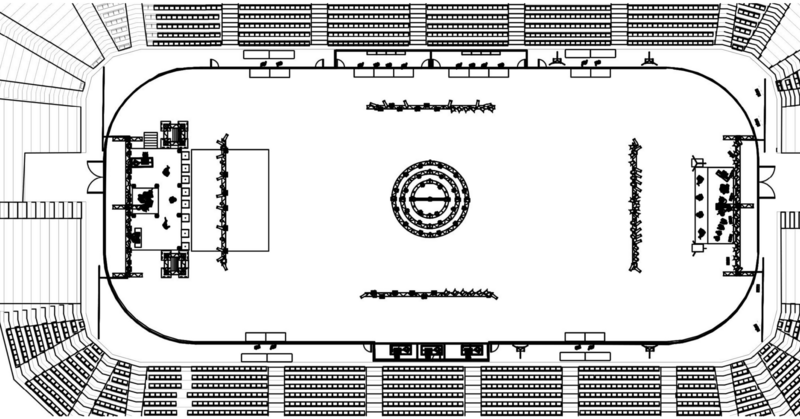 I can go on about the details, but the point is how do I go from the blank AutoCAD of the venue to a complete design. I guess that’s how I do it. There is a lot to think of, but the more you do it, it becomes second nature. Then of course, there are revisions 2 through 13, depending on the client, the venue, the fire marshall, the police, and other factors that come up in the planning process. If you managed to read this far into my blog (I guess there is about 8 of you total) please message me with any ideas you may want myself or anyone of us here to write about in the future.